Canada at Midnight – Feature Game of the Month! 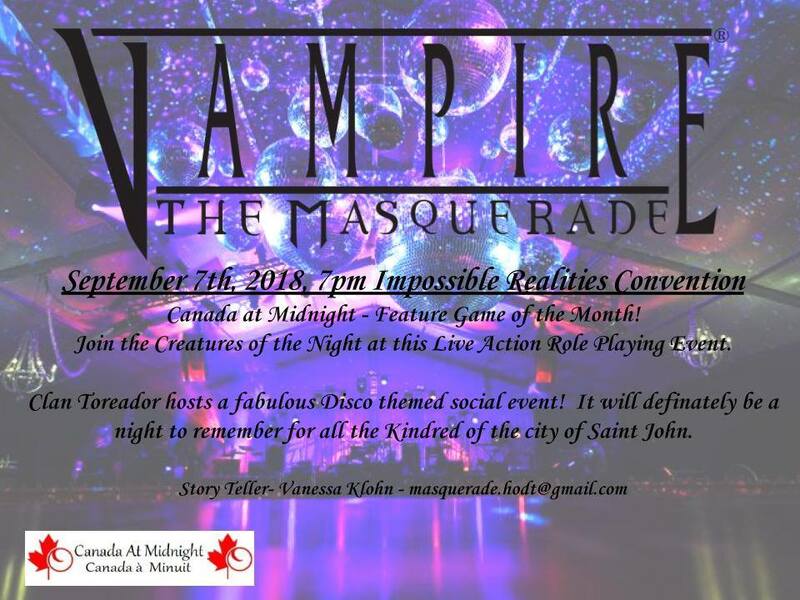 Join the Creatures of the Night at this Live Action Role Playing Event. Clan Toreador hosts a fabulous Disco themed social event! It will definately be a night to remember for all the Kindred of the city of Saint John.